Luxury and intimacy are the two words that best express the Boutique Hotel 20°Sud on the island of Mauritius. 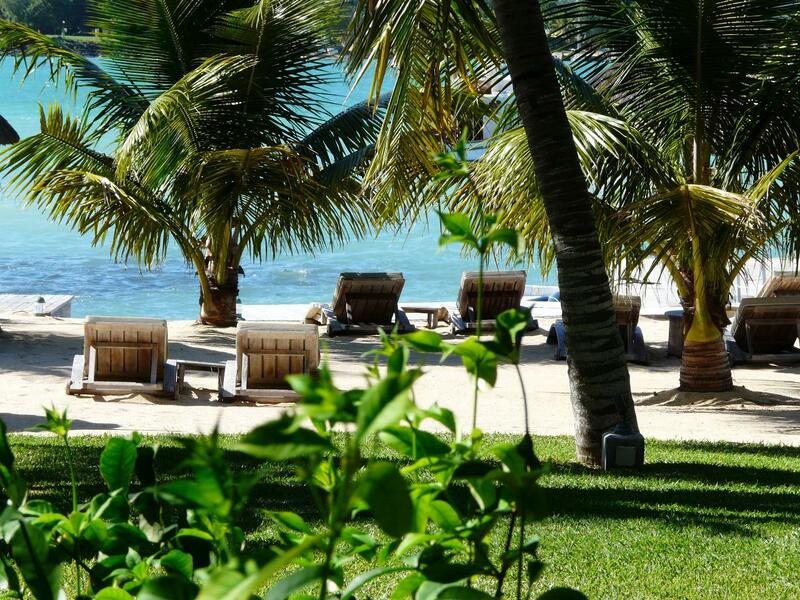 This small, privately run hotel is hidden away from view in the midst of an old coconut grove at the mouth of Grand Baie. Hotel 20°Sud is the first hotel of its kind on the island, offering five-star luxury in a boutique setting that makes guests feel like they are part of an exclusive club. Yet do not let its size fool you. There is plenty to do including golf, swimming, water sports, and relaxing at the well-being spa. Hotel 20°Sud is a boutique hotel in every sense of the word. It offers just 30 rooms and six suites, but each one has been created to be something different. It would take 36 separate visits to the hotel to experience everything the accommodations have to offer. Rooms have been designed to be charming yet comfortable, with luxurious linens and beautiful Belgian furnishings. Rooms are divided into five categories: Cosy Rooms, Charm Rooms, Beachfront Rooms, Suites, and Austral Suites. Each of these spaces is very tastefully decorated and comes with queen-size bed, flat screen plasma TV, multimedia system, complimentary Wi-Fi, minibar, coffee and tea maker, and private terrace with a spectacular view. Some of the beachfront rooms are just 10m from the water. Cosy Rooms offer the most affordable accommodations while the hotel's two Austral Suites are the ultimate in luxury. Enjoy more than 80m² of living space along with private plunge pool and Jacuzzi. •The Hotel – The Hotel restaurant is the primary dining establishment at Hotel 20°Sud. It is situated just 10m from the water's edge and offers numerous seating options including poolside, seaside, and indoors. The Hotel serves both breakfast (all day) and dinner along with four o'clock tea and coffee with freshly baked cake. The dinner menu highlights fresh seafood and African cuisine. •Flat Island – Hotel 20°Sud has something no other hotel in Mauritius offers: an exclusive island with a small and intimate restaurant. The Flat Island restaurant is located just off the coast of Mauritius on a small piece of land featuring an old colonial ruin. The ruin has been carefully converted into an intimate restaurant serving fresh seafood and Australian meat kebabs. •Lady Lisbeth – The Lady Lisbeth is actually a vintage boat first built in 1929. It was purchased by the hotel and painstakingly restored to its original condition. It now offers an exquisite gastronomic experience for a maximum of eight passengers, each of whom can enjoy a gourmet meal while touring the bay.